White Cross Street. 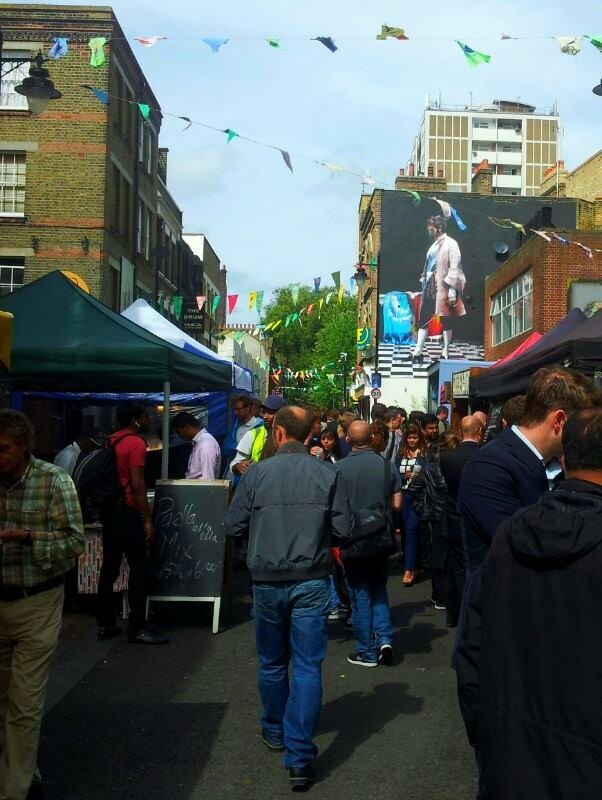 It’s a fine example of how a lively, vibrant lunchtime food market, can completely revive a lost and lonely high street. Situated just off Old Street and close to the Barbican, this is a fantastic place to take lunch and attracts a mixed crowd of city workers and Hoxtonites. It’s hugely popular, buzzing and fantastically fragrant. Run by Islington Council this is their most successful market.